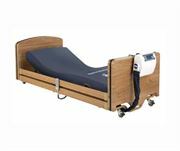 With over 50 years of experience, we can guarantee that the bariatric chairs that you receive have been continuously tested over the years and benefit from top quality design and comfort. Whether you are looking for chairs with drop down arms, housekeeping wheels, high backs or low backs our bariatric chairs range has it all. 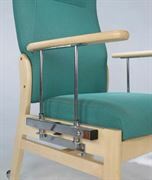 Matching the chairs to the current décor is made easy as all NHS bariatric chairs at Renray are available in a range of woods and finishes.